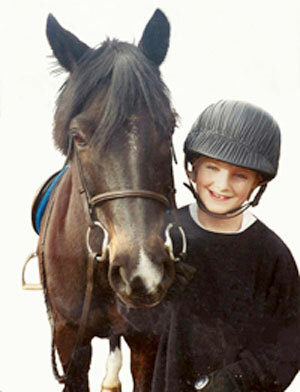 Horse Lover’s Math brings children, horses and math together. Math questions drawn from the real world of horses are not perceived as “math” but as useful information about horses. One is not asked “Why do I have to know this?” If the subject matter is about horses, children want to know. While Horse Lover’s Math is for both girls and boys, issues around girls and math continue to be discussed. A recent study shows how the effects of horseback riding improves learning in children. Research published in Frontiers in Public Health shows that the effects of vibrations produced by horses during horse-riding lead to the activation of the sympathetic nervous system, which improves learning in children. Read a brief article in ScienceDaily here. A study by two University of Illinois education professors showed that a gap in reading and math scores still exists in lower grades, with boys continuing to outpace girls in math, and girls ahead of boys in reading. Using U.S. national longitudinal data to perform their analysis, Joseph P. Robinson and Sarah Lubienski investigated male and female achievement in math and reading, looking for when gender gaps first appeared and where in the distribution the gaps were most prevalent. Our research looked at national data, and they show that there is indeed still a gender gap in math. It’s small, but it’s there, and it grows between kindergarten and fifth grade. One of the ways to address this gender gap is to develop strategies that motivate and empower girls to believe they can do math; what better way to do that than through a passion many girls share – horses. It is well known in the horse world that far more girls than boys are involved in horse sports, associations, and clubs, with the exceptions being horse racing and rodeo. Horse Lover’s Math shows the real world connection between horses and math. In Horse Lover’s Math they are not separate subjects, but one and the same. 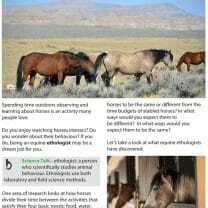 Horses provide the real life context and motivation to know math. When riders are walking the course before a jumping competition, they are doing math. Each stride they take is 3ft. An average horses’ canter stride is 9 – 12 ft. As they walk, the riders are making mathematical calculations, determining how many strides their horse will take between jumps, what the best angle of approach will be for each jump and assessing the height and width of every obstacle. 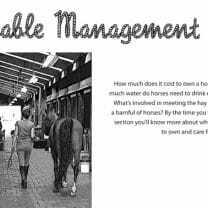 Keeping a horse healthy requires knowledge about their physical condition. Knowing how to check their heart rate can be a valuable skill. This can be done quickly and easily if you know math. Count the number of heartbeats in 15 seconds and multiply that number by 4 to obtain the horse’s heartbeats per minute. 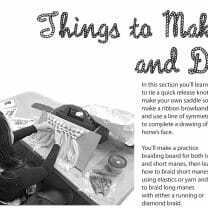 “Through mathematical activities that are practical and relevant to their lives, students develop mathematical understanding, problem-solving skills, and related technological skills that they can apply in their daily lives and, eventually, in the workplace. Learning opportunities are a part of life, they’re everywhere, not just in classrooms and schools. With Horse Lover’s Math, mathematics is simply one more way of learning, understanding, and interpreting the world of horses. Horse Lover’s Math aims to demystify math and make it more accessible. 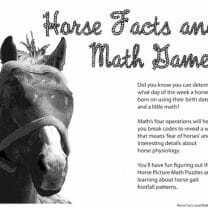 By showing math’s relationship to science and equine career and course opportunities in colleges and universities Horse Lover’s Math hopes to motivate and inspire children to be all that they can be. Aligned to the Common Core Standards Initiative and both the B.C. and Ontario Ministry of Education Grade 4 Curriculum, Horse Lover’s Math presents children with real-life pre-Algebra, geometry, and other math concepts.